Our friends at the Rorate Caeli blog have had a bad week, or perhaps better stated, a revealing one. As you may have noticed, we avoided mentioning this matter here, as it also seemed (due to several details of the story) peremptorily non-credible. It is to be hoped that the Pope Emeritus’ unusually strong denials should put this episode to rest. 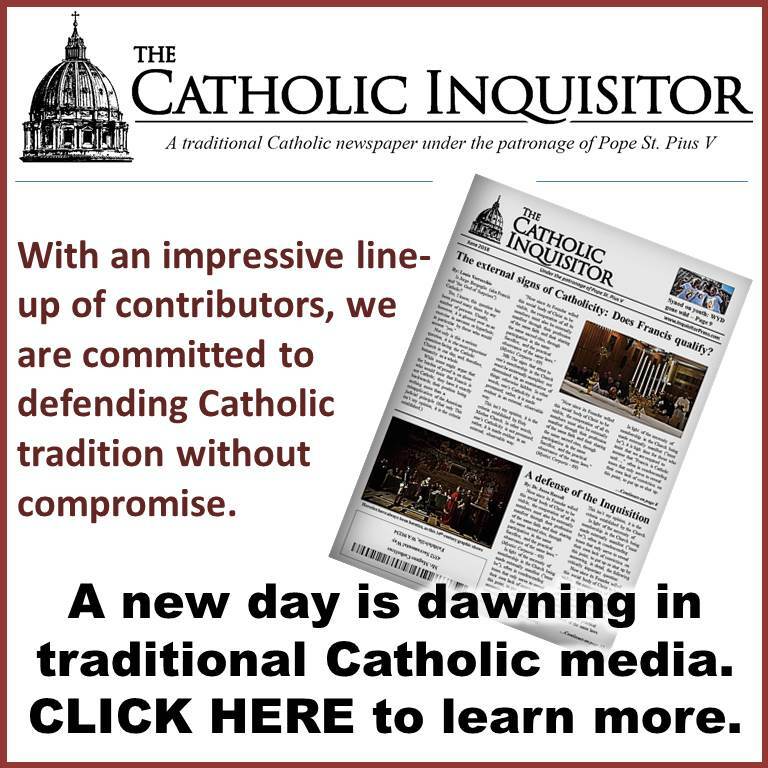 Is this a case of genuine naiveté, or do the publishers at Rorate Caeli harbor a pro-Ratzinger bias so substantial that no amount of contrary testimony will ever suffice for them to admit that the current “Pope Emeritus” (whatever in the Hell that is) has been duplicitous in the matter? I must admit that, for a number of reasons, I had high hopes for this article. For one, the revelation (more of a confirmation, really) by Archbishop Gänswein is indeed an explosion of seismic proportions. Surely, a “very wise, knowledgeable” cleric writing under the shield of anonymity will spare no effort in addressing the implications head on, I thought, perhaps revealing a bit of my own naiveté. Upon reading the piece, however, it immediately became obvious that I expected too much. It is not doubtful that the document we will consider as the most important one in the Pontificate of Francis will be the exhortation Amoris Laetitia, just as Summorum Pontificum is already for that of Benedict XVI. Apparently, the explosiveness of Gänswein’s confirmation as to Benedict’s intent and the implications thereof are lost on don Pio; either that or he simply won’t touch it with a ten foot pole. 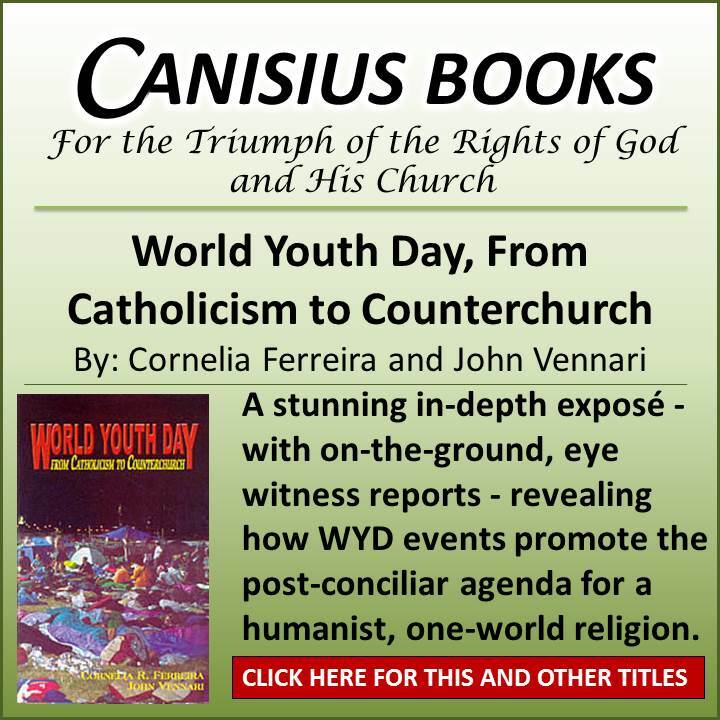 The opposition, despite its attempts of resistance during the two last assemblies of the Synod of Bishops, does not truly manage to find its standing, to find an appropriate response. Come now, if don Pio was truly wise he’d know that it’s not so much the case that “the opposition” can’t find an “appropriate response;” rather, they lack either the faith, the fortitude, or some combination of each to respond appropriately – namely, by condemning the document in its entirety, in no uncertain terms, by virtue of the blasphemy and heresy that it contains. Let us hope that the publishers of Rorate Caeli have overstated don Pio’s credentials and he is, in reality, not influential in the least. No, the faithful Catholic is never forced, when presented with theological nonsense, to “find meaning” in it, political or otherwise; rather, he is called to reject it in favor of what the Church has always believed, taught, and practiced. Period. From there, he is called to face the implications of said nonsense head on, like a true soldier for Christ; that the truth may be well-defended. Clearly, don Pio is either unable or unwilling to do either. … Georg Gänswein, who receives everyday the cries and lamentations of the Ratzingerians, builds up …the statue of his Pope [Benedict] as an accusing statue of against the Commander, as a ‘contemplative Pope’. And, by the very fact of doing so, he weakens even more the legitimacy of the ‘active Pope’, in the spirit of his nostalgic friends. Are they merely nostalgic? This is the entire question. In reality, they are abandoned. They are in expectation of a strong symbolic stand, which the current situation demands. Was the so-called “resignation” of Benedict a valid act, or is the alleged pontificate of Francis truly nothing more than a dangerous illusion that, ultimately, was hatched in the disoriented mind of a man who thought himself empowered to “expand” and “transform” the Petrine ministry as established by Christ? These are questions that far too few in Catholic media appear willing to address. In reality, the “current situation” does not call for “a strong symbolic stand” at all, but rather does it call for all who truly love the Church to condemn grave error by name, and to speak the truth plainly. It is they who first abandoned the effort to measure all things by the light of objective truth in favor of propping up their idol; an aging conciliar modernist whom they are loathe to hold accountable for his assorted contradictions, obfuscations and errors. If it wasn’t clear already, while Rorate Caeli may have a few more toes in so-called “traditionalism” than most other Catholic blogs, their postings of this past week suggest that ultimately they swim in neo-conservative waters where ideology trumps practically all. As Catholic commentators go about reacting to each of these major contributions to the current crisis, those who are paying close attention will discover exactly who’s who. Got it in one, Louie – and I find myself cringing when they preface these sycophantic articles with praise heaped upon the priest author. It’s happened more than once recently, and apparently they don’t realize, or don’t care, how foolish it makes them look. 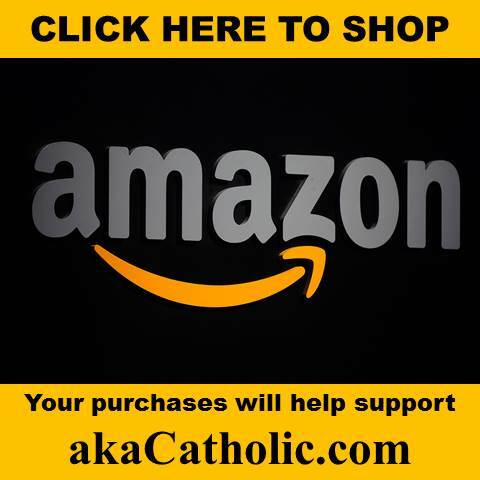 Thank you for calling out Rorate Caeli blog as they truly are – wolves in sheep’s clothing. YES! It’s precisely this kind of no nonsense analysis that brings me here. Rotate Caeli has long annoyed me as being watered down and self-congratulatory, not to mention the all too frequent sloppy analysis and writing like that found in this latest Don Pio essay. As for sloppy writing, I greatly appreciate the obvious care Louie takes in crafting his posts. No sloppy writing from him. It seems he’s studied at least one grammar book like C. Edward Good’s excellent A Grammar Book for You and I…Oops, Me!. I completely agree with everything you have said. I’m glad I don’t read Rorate. Back in the day when the Abbe de Nantes was alive, I spent many hours reading his website. They consistently railed against PPVI and JPII. They also held a grudge against the SSPX that I didn’t know what to make of back then. But go there now and the Abbe’s successor, Brother Bruno, gushes over Pope Francis every chance he gets. It was so bizarre for me to see the 180 degree change when I took a nostalgic peek yesterday. aka Catholic and the Eponymous Flower get my attention now. The website I really miss is Ars Orandi. It was tragic to see DW quit because he convinced himself that he was being hypocritical. He felt that his deficiencies as a Catholic rendered him ineligible to post about the beauty of the Church. Instead of a rorate bashing segment I hope everyone here takes this opportunity to examine ALL so called traditional blogs. As a sede I need to be honest and say that I have a huge problem with any so-called traditional blog, because I am FULLY convinced that the vatican 2 religion and all of its “popes” (and it is a lot deeper than simply that) are not of the Catholic Church. With that said, I frequent this site for two main reasons: a) though I am at odds with the fundamental idea of traditional Catholicism as it relates to what I fully believe, I also fully believe that the man who runs this site wants to get to Heaven and b) I learn a lot here. Being the Pope is not a Sacrament, it is an administrative appointment. He may not be a good Pope, but he is still the Pope (most probably Ratzinger) And if you want to get to Heaven, you have to be subject to the Roman Pontiff. You certainly do have to subject yourself to the Pontiff. This is why I have no problem with what I say about mr bergoglio and his vatican 2 buddies. If I thought for a second that any of them were Popes I wouldnt dare say what I do. Pius XI who was mentioned in a negative context at Fatima, he and Pius XII introduced financial corruption on a massive scale into the Church. That’s what brought the house down. All you have to do is search, Bernadino Nogara. 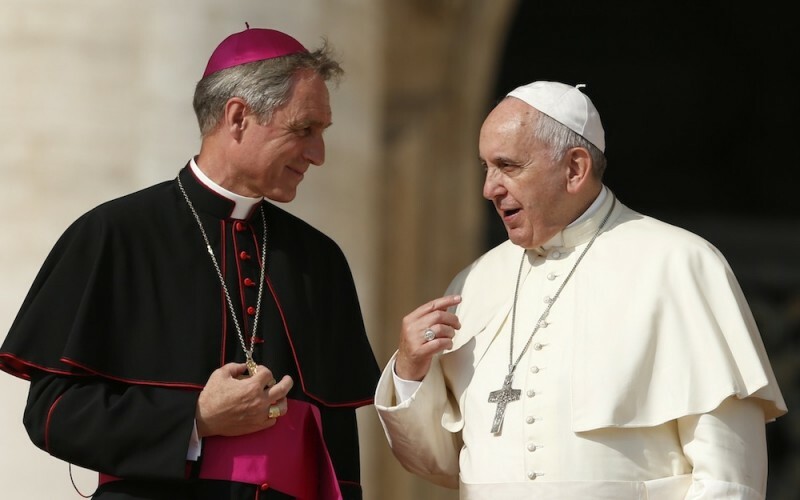 It does not really matter, at least fundamentally, if the pope due to his bad moral character or poor decisions introduced corruption and moral decay within the church. That’s terrible news, he will have to clean in hopefully purgatory. The problem is when the supposed pope teach heresy, leads people to heresy and does not help people to get out of a heresy in order to embrace the True Faith (aka Catholic) . That is when sedevacantism comes to play, because you can not be seating in the chair of Peter, hold the office of the papacy and teach what leads people to Hell. It is impossible and diametrically opposed to the purpose and means Christ gave to his Church. Holy Moley. Who’s at the bishop’s dinner table? Show me when the human side of the Church got into the usury business (Vatican Bank), and I’ll betcha a nickel that’s when a lot of the trouble/subversion really started. Filthy lucre. Where there is Sith……..always two……..
What strikes me as amazing, is that so little has been said in the past week about Gainswain’s speech. The whole Church should have come to a screeching halt, and everyone should be seeking clarification, but it appears no one in the hierarchy is at all interested. Perhaps it is just because things take time in Rome, I don’t know. But since one of the fundamentals of being a good catholic is union with the pope, I would have thought it of paramount importance to define exactly who that pope is. Keep sounding the alarm Louie… hopefully someone will notice. The interior life is not what one thinks or imagines. It consists not in having beautiful thoughts, nor in saying beautiful words, nor in remaining in a passive kind of prayer without applying one’s mind, as if one were in lofty heights. All of this is, more often than not, no more than fantasy. The interior life is found in the solid practice of mortification, in the love of littleness and in total detachment from oneself and from creatures. May we all seek to love the Lord through this tried and tested manner, whether we feel like it or not. Is there no end to your incessant virtue-signaling and concern-trolling? De cetero fratres, quæcumque sunt vera, quæcumque pudica, quæcumque justa, quæcumque sancta, quæcumque amabilia, quæcumque bonæ famæ, siqua virtus, siqua laus disciplinæ, hæc cogitate. I for one find these comments to be some of the most useful ones here. Thank you, Ever mindful. Ever Mindful–Benediction of the Blessed Sacrament in the Novus Ordo “church” makes no sense at all. How do you explain adoration of the Blessed Sacrament exposed in the Monstrance, when Our Lord’s Body, Blood, Soul and Divinity in the Holy Eurcharist is desecrated at EVERY Novus Ordo “mass”. Could some one explain this to me without using doublespeak? Real devotion to the Blessed Sacrament is only to be gained by hard, grinding work of dry adoration before the Hidden God. But such a treasure cannot be purchased at too great a cost, for once obtained, it makes of this life as near an approach to heaven as we can ever hope for. Ridiculous. What is easier and more relaxing than to ponder Jesus present in the most Blessed Sacrament. Where was the dry, grinding work of St John as he rested his head on Our Lord’s breast at the Last Supper? Rushintuit, it is certainly not ridiculous. You’ll remember this at some point, when that which now seems so easy and relaxing to you has become difficult and hard work. The time will come, you’ll see. It always does. I think the answer is simpler (and even less edifying) than that. I think that for New Catholic, it’s not a breaking story if Rorate didn’t break it themselves. Their back-and-forth on Twitter with OnePeterFive’s Steve Skojec is pretty suggestive of this possibility, something that many have long suspected. Well said Richard. 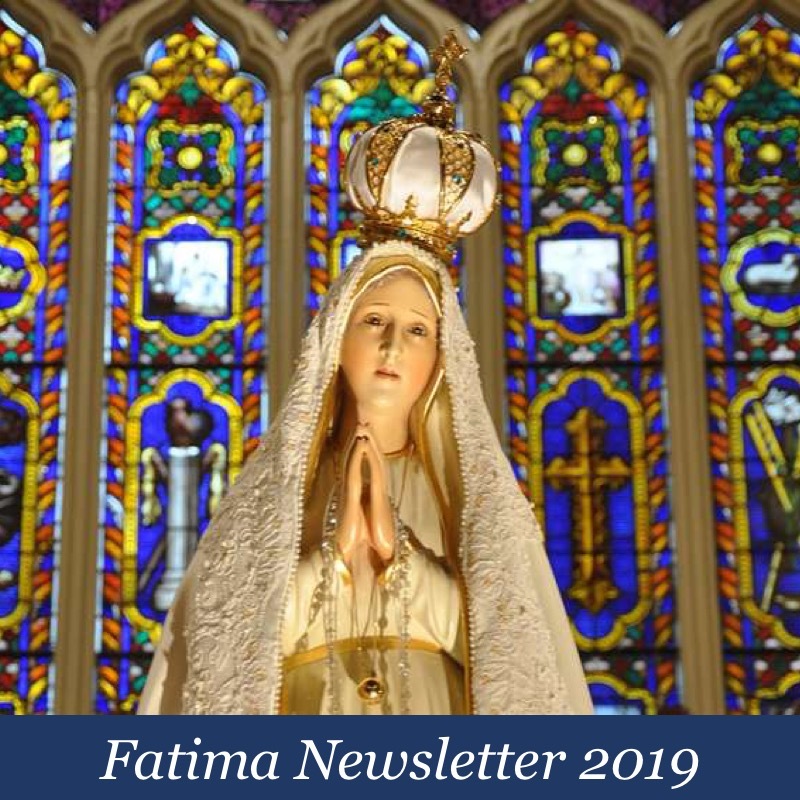 First came RC’s sneering comments about 1P5’s Fatima revelation; then came their deliberate removal of a link back to 1P5 from an article by Roberto de Mattei. But to make matters worse, when called on the latter infraction – despite being initially given the benefit of the doubt – they reacted like an offended clique of teenage girls. And this from a site that often DEMANDS attribution and links back to their work. As Louie said, a bad week indeed. Anyone who’s read Benedict XVI’s “Jesus of Nazareth” books knows that the man is a flaming modernist. He gives kudos to heterodox scholars like Bultmann and Meier, while ignoring traditional Catholic Biblical exegesis. Antics like this are lamentable, but shouldn’t surprise us. Keep up the great work, Signor V.